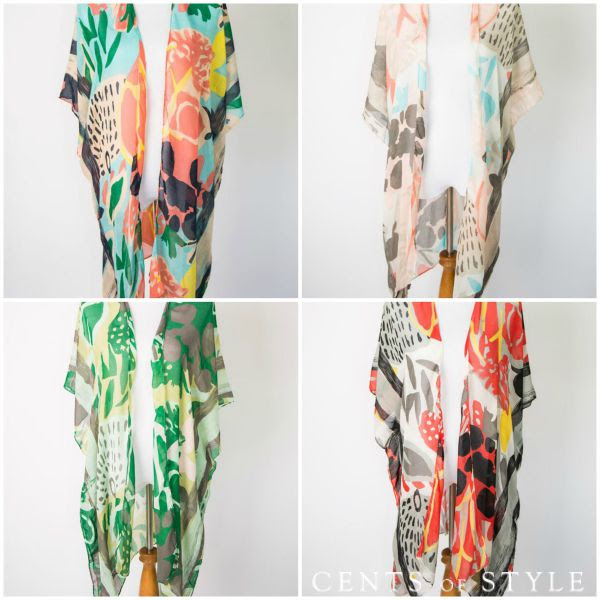 Cents of Style Kimonos Just $12.95 Shipped! Okay, so I absolutely LOVE Kimonos and had to share this great deal. Right now on Cents of Style you can get one of their 4 different Kimonos for just $12.95 SHIPPED! I might have to grab one of these but I can’t decide between the gray/peach/aqua one and the green colored one. Which one is your favorite?? My favorite way to wear my kimono is either over a t-shirt and jeans, as a swim cover up or over a shift dress with sandals. It spruces up any outfit. Grab your Cents of Style Kimono here.